HQ Southern Command Pune has published a recruitment notification of Group C. The candidates who have 10th/12th/Graduate can apply for the post on or before 27th December 2017. Here you can get the complete information about HQ Southern Command Recruitment 2018. 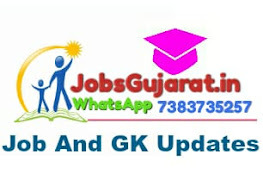 You will get here detail about age limit, qualification, application form, selection procedure, important dates and important links. Eligibility Criteria for HQ Southern Command Recruitment 2018: The candidates who wants to apply for HQ Southern Command recruitment of Group C should have the following eligibility criteria. Here you can get complete detail about age limit and qualification. Age Limit: The age of the candidates should be between 21 to 35 years. The upper age limit relaxation as per Govt rules. Qualification: The candidates should have passed 10th/12th/Graduate with good academic record. Selection Procedure: Selection will be based on Physical Test, Written Exam, Skill Test, Medical Exam and Merit Based. Application Form for HQ Southern Command Jobs: The candidates who fulfill the above eligibility criteria can apply Online for HQ Southern Command recruitment 2018. Apply online through official website www.aocrecruitment.gov.in on or before 27th December 2017. The candidates must note that the last date to apply for HQ Southern Command recruitment is 27th December 2017. Important Dates: The candidates must note the following important dates who would like to apply for HQ Southern Command recruitment 2018. Important Links: You should also download the complete recruitment official notification to know more HQ Southern Command Employment rules and regulation.